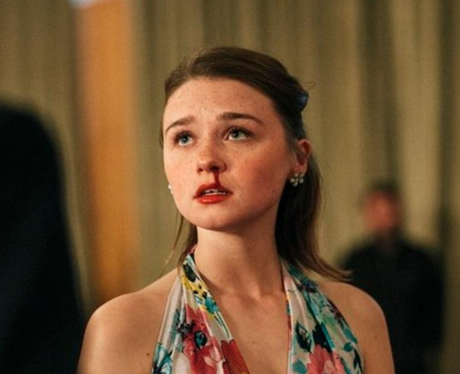 Jessica Barden's most high-profile role to date was in The Lobster (2015). 6. Jessica Barden's most high-profile role to date was in The Lobster (2015). The film stars Jessica as 'Nosebleed Woman' alongside Colin Farrell, Rachel Weisz, Ben Whishaw and Olivia Colman. The film is set in a dystopian near future where single people, according to the laws of The City, are taken to The Hotel, where they are obliged to find a romantic partner in forty-five days or are transformed into beasts and sent off into The Woods. Fun!